Here’s a video of the Tedx speech I gave back in 2011. From 2006 to 2010, I studied Media and Communication with minors in News Writing, Multimedia Production (video, audio, and photography), Mass Communication, Public Relations, and Advertising. I hosted a food TV show called “Food Maps” on Go ASEAN Channel (2016). When I was 18 years old, I became a freelance reporter for Agence France Presse and a freelance writer for the Phnom Penh Post, one of the most read English news publications in Phnom Penh. Between 2008 and 2014, I worked as a stringer and freelance reporter for various foreign news publications: Agence France Presse, Los Angeles Times, IRIN UN News Agency, the Independent UK, CSMonitor, the Phnom Penh Post, Asia360s (Magazine), Global Voices Online, and more. I have trained on social media and given speeches to, university students, artists, professionals inside and outside Cambodia since 2008. In October 2011, I was one of the 10 UNESCO bloggers selected from a pool of nearly 600 applicants to cover the Paris UNESCO Youth Forum. I was invited to be a social media trainer for Seliger Youth Forum in Russia in 2012 and was later blogger in chief for the same conference in 2013. I sent a team, 3 from India, one from Mexico, one from Vietnam, and one from Nepal to cover the conference. In 2009, I helped a team co-found a film youth collective, Kon Khmer Koun Khmer or Khmer Films Khmer Generations, that has since 2009, worked on and produced short films as well as organized widely-reported film events and exhibitions plus an annual filmcamp and film contest (Chaktomouk Film Contest). I like organizing digital community events. I was the lead organizer for BlogFestAsia 2012, attended by 200 participants, 80 of whom were from 10 other countries. As one of the first speakers of the first-ever TEDXPhnomPenh 2011, I later helped organize it. My passion is social media, youth empowerment, writing, travelling, and now policy analysis. I have travelled to South America, Africa, Europe, the Middle East, and Asia to cover events as a blogger and a journalist since 2009. I try to make time to write about my musings, allocate my time to travel to places, and review restaurants, hotels, and interesting destinations in my free time on When in Phnom Penh blog. You are invited to write for that blog as well. Contact me kounilakeo at gmail dot com if you are interested in any collaboration, creating something cool and nice, or hiring me for some assignments! 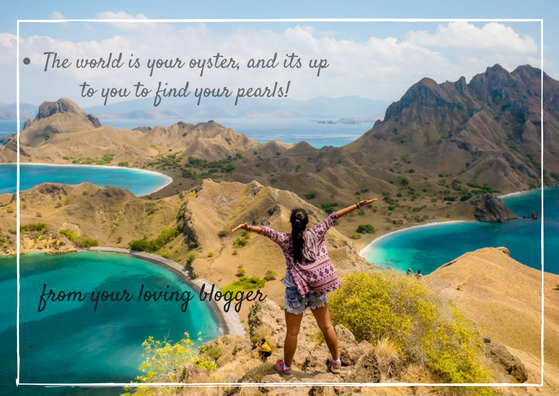 Connect your brand and create engagement with local bloggers and online influencers in Cambodia and the Southeast Asian region ( I have a lot of networks). Phnom Penh International Airport interviewed me and has published this video on their website. It’s about my travelling experiences. I’m the fourth child of the five siblings and the only one that’s finished a Master’s degree (fully funded). I’m a Li Ka Thing scholar. Or Google me. Thank you very much. Hi Kounila. I’m from Malaysia. I really impressed with your blog. You’re an absolutely good writer indeed and I really enjoying reading it. You makes me feel want to go to Cambodia even as I write this comment. Bookmarked u r blog and hope to read more form it. Btw, care to link xchange? I’m looking for partner to promote my blog and yours is just what I’m looking for. Have a great day. Happy New Year 2013.
i am happy to read your blog. It shows me that a new generation of khmer is growing up that did not have to endure the hardship of the older generation. Traveling will open open your mind, it did it to me almost 45 years ago. It’s that long that i am travelling (well, if i have some free time from work). It made me more tolerant and interested in other cultures and people, their thoughts, music, food and living. I am orig. from Germany but Cambodia is my home since over 10 years. I learned more here than in many decades of my life before that. For example that “less is more” and to be moderate in everything will help you through life. Foreigners can be good and bad for Cambodia. I have seen them all. But i also have seen Foreigners that came here as really bad people, married a khmer woman and got a child and than changed completely to a good person. This is the proof that your culture works. Many western people and NGO in particular critizise the khmer chbab srey rules for women and girls. In my culture we had similar rules until people got more rich, greedy and had no respect for each other anymore. That’s when most of the western societies collapsed and individual egoism became the new standard. In Cambodia your Family is your social net where you can go back to if in trouble or just sad. If you follow the western egoism individualism you won’t have that anymore. So preserve it as much as you can. It’s a treasure. Foreign NGO People will tell you that Chbab srey is bad and a source for domestic violence. I don’t believe this because when i see my khmer neighbours it’s usually the women that are much stronger in the family. It’s only when men go on drinking tours and want to be bigger than themselfs they don’t seem to be able to control themself anymore. Sometimes it is smarter to just be quiet and let the alcohol disappear. The next day your family is still intact but if you follow western (stupid) guidelines of feminin extremists than your family will never again be able to life a happy life together anymore. I was interested in creating blog, but I recently was so busy. I have created a blog, but it was not good enough. When i see you blog, I am inspired by you. I will try to create a new blog. Hi, kounila!! I am a 17 years old Cambodian girl who has just watched your awesome presentation about blogging on teacher Sharmani’s moodle.Honestly, you looked so confident in presenting which I like the most out of you. Also, i actually cannot imagine how a young girl like you started something interesting like that( I mean blogging).. As I have noticed some of your interesting activities I have followed you on twitter. You inspire me to speak english better and with more confidence.You make me wanna do something bright like you. I hope to see you sharing more of your interesting experience with many other Cambodians especially me. I wish you the best, Kounila!!! I promise we all have to try our best to do something for our country. Hi Kounila Keo, my name is Nin, I am a blogger in http://www.kingdomofcambodian.com, I have recently visit your blog post and it has inspire me. I just started to blog and not creative as yours and other Cambodian blogger. I admire in what you do! I hope that you may successful in the near future, hope all other Cambodian Blogger will be successful too, I think we all have the same dream, to help Cambodia be known around the world more. Nice to hear from you by visiting your blog accidentally, I once share the class with,but not sure whether it is at IFL or High school, and glad that you have found your passion and achieve the success in life. Thanks, Virak. We were high school mates. Thanks for remembering me. I remember you very well. And, again thanks for visiting my blog! I read your posts and watched your videos with great interest, they are very informative and helpful. My name is Richard Currie and I am the production coordinator at Cambodian Productions in Phnom Penh. We are a western run production company operating within the Kingdom of Wonder. Cambodian Productions can help with all aspects of film production from permits to logistics and sourcing local crew. I also write posts about film making in Cambodia, I would love to get your feed back. Our email is [email protected] or we can be contacted directly via telephone +855 (0)78 572 466. I live and work in Papua New Guinea and I just literally started to blog and my first post was published an hour ago. I think its amazing what you do and I look forward to reading more of your blogs. Wow! you’re a professional blogger! Ha, I’m just a blogger! I have sent you an email to ‘bl[email protected]’ can you please check? I haven’t received it. Could you please send it again? I’m Pascale from the BBC in London. I would like to speak to you about a programme we’re planning to record in Cambodia. Could you send me your email please?